As veganism and plant-based diets become more mainstream, we’re seeing an increasing number of athletes embracing the power of plants to fuel their sporting achievements! Stretching their influence beyond the dinner plate, these individuals are highlighting the benefits of a vegan lifestyle to a global audience – using their success in sport as a platform for raising awareness and inspiring change. Meet ten women who are blazing trails both in and outside of the sporting arena and amplifying the voices of vegan and female athletes alike. Fiona Oakes, 48 and vegan since the age of six, has completed over 50 marathons and holds four world records. 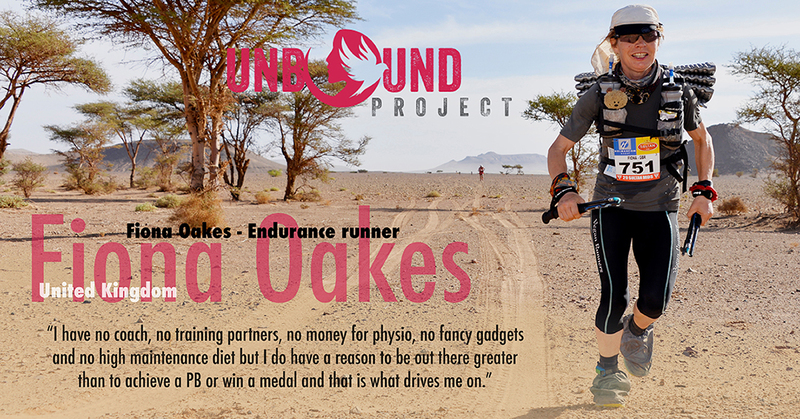 In 2012, she became the first vegan female to complete the Marathon des Sables (also referred to as “the greatest footrace on earth”) – a racing event which involves running six consecutive marathons across the Sahara Desert, and in 2013 she became the fastest woman in history to run a marathon on all seven continents (in terms of the total number of hours taken). To top things off, she also founded and runs Tower Hill Stables Animal Sanctuary, where she lives with her partner Martin and the sanctuary mascot Percy Bear, who joins Fiona on all of her races (and who has a large online following!). The sanctuary spans five sites and provides a home for life to more than 450 rescued animals. Oakes’ tremendous drive comes from her lifelong passion to speak up for those who need our help. Follow Fiona Oakes’ life-saving work and advocacy efforts on Instagram and Facebook. Seba Johnson is the youngest Alpine ski racer in Olympic history, competing in the 1988 Winter Olympic Games in Calgary, Canada at just 14 years of age. She was also the first black female to ski at an Olympics. A vegan since birth and powerful advocate for animals, Johnson has lived through a notable shift in attitudes towards plant-based athletes and has great visions for what the future of sports could look like if that shift continues. 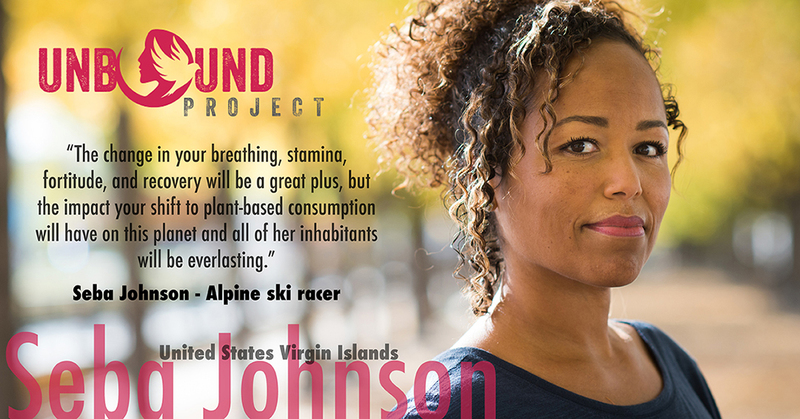 Read more about Johnson in her Unbound story and follow her advocacy efforts at sebajohnson.com and on Instagram. 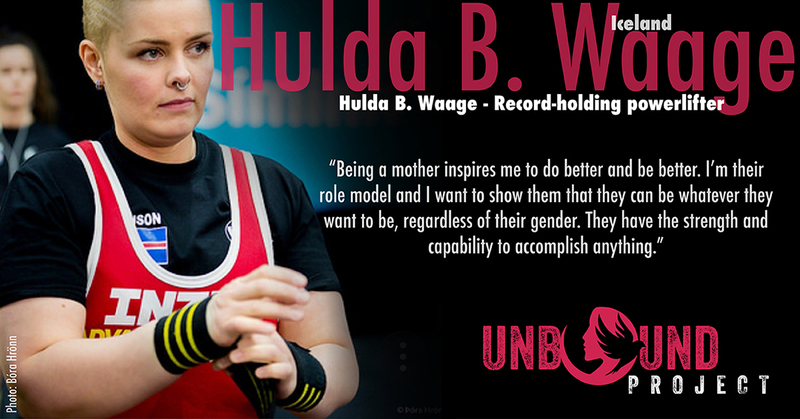 Born and raised in Iceland, leading female powerlifter Hulda B. Waage started competing in 2011 and has since set 32 national records, including National champion and Cup holder 2016, 2017 and 2018 — all fueled by plants! Waage draws her inspiration from being a mother and is proud to be a role model to her two daughters. Follow Waage’s progress in sports on Instagram and Facebook. Australian wheelchair basketball player and three-time Paralympian, Sarah Stewart is shooting some serious hoops and showcasing the benefits of plant-based power to a global audience! Stewart has been vegan for 24 years, and started playing wheelchair basketball about 17 years ago. Since then, she has had a decorated career in the Women’s National Wheelchair Basketball League (WNWBL), including being named in the ‘WNWBL All-Star Five’ ten times. 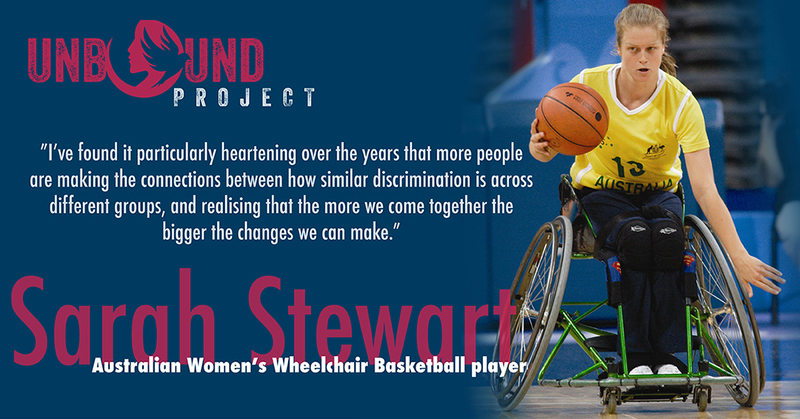 After injuring herself when she was 16, Stewart developed dystrophy, and turned to wheelchair sport at the end of 2001. In 2004, she represented Australia at the Athens Paralympics, bringing home a silver medal and then a bronze from Beijing four years later. In her third Paralympics, Sarah and her team again won silver in London. Stewart enters each game with the aim to play hard and play well. Her goal in life is to achieve everything she sets her mind to with honour and respect, and above all with a smile. With three medal-winning Paralympic campaigns now under her belt, her impressive skills and sheer determination to do what she does well has made her a valued member of the Australian Women’s National Wheelchair Basketball team. Alongside her sporting commitments, Stewart dedicates a lot of time to giving back to the community and sport through coaching and committees. Follow Sarah Stewart’s sporting progress on Facebook and Instagram. 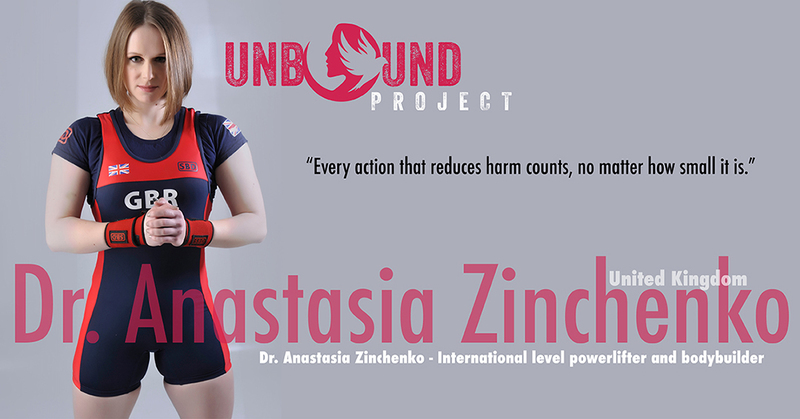 Dr. Anastasia Zinchenko is an international level powerlifter, bodybuilder and scientist! She started lifting weights and transitioned to veganism at the same time. Three years later, she represented Great Britain at the Bench Press World Championship in South Africa. With a PhD in biochemistry from the University of Cambridge, Zinchenko researches and writes about sports nutrition and exercise science – and is also a passionate health and fitness coach. She applies general research findings to a plant-based diet in order to help others to reach their strength and body composition goals in the best way possible. Learn more about Dr. Zinchenko’s work at sciencestrength.com and follow her on Instagram. 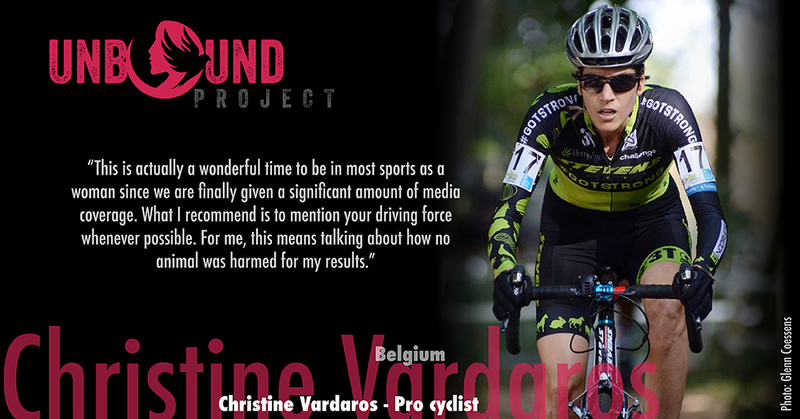 Meet Christine Vardaros, a Belgium-based International professional cyclist and vegan for nearly a decade. She began her career as a pro mountain biker (MTB), before switching over to the pro ranks in road and cyclocross racing. Vardaros uses her sporting platform to advocate veganism throughout the world. When she’s not on the bike, she volunteers as a spokesperson for The Vegan Society, In Defense of Animals, and Switch 4 Good. Her talks are targeted at getting the best out of your body through a plant-based diet. Follow Christine Vardaros on Facebook and Instagram to find out more about her cycling achievements and advocacy efforts. 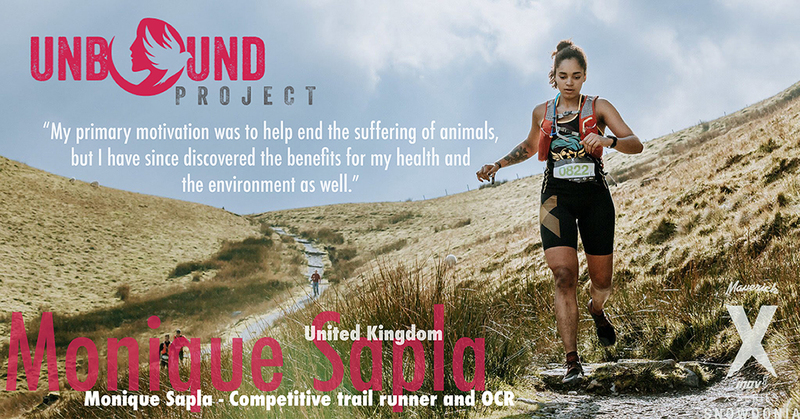 Monique Sapla is a 22-year-old competitive trail runner and obstacle course racer (OCR) from London, UK who is embracing the benefits of plant-based living to fuel her sporting passions. Follow Sapla on Instagram for her latest progress and race updates. Vegan powerlifter Pat Reeves, 73, is a registered Nutritional Therapist, author, and competitive sports person of multiple talents – competing in everything from marathons and triathlons to bodybuilding and powerlifting! 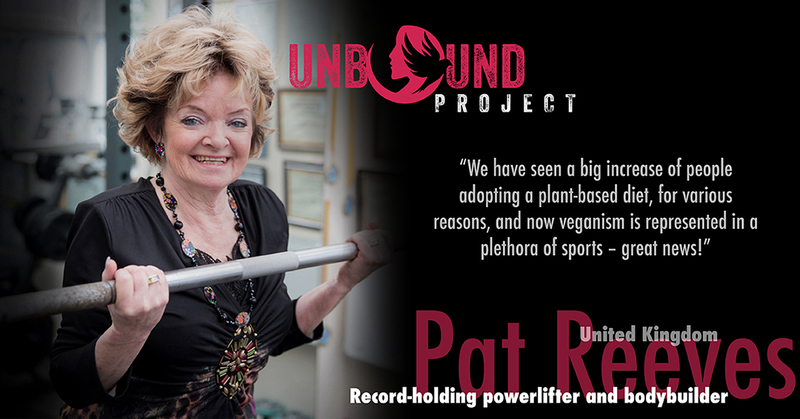 Initially turning to the benefits of a plant-based diet to assist her body with healing brain cancer, Reeves now uses the power of plants to fuel her sporting passions, and has held the all age/weight National, Commonwealth, European and World records with two powerlifting Associations for more than 20 consecutive years. Reeves believes the future is brighter than ever for veganism within the sporting arena, as more athletes are choosing to adopt plant-based lifestyles and use their platforms to speak out about the related issues – from personal health, to the environment and animal rights. Find out more about this remarkable woman at foodalive.org. 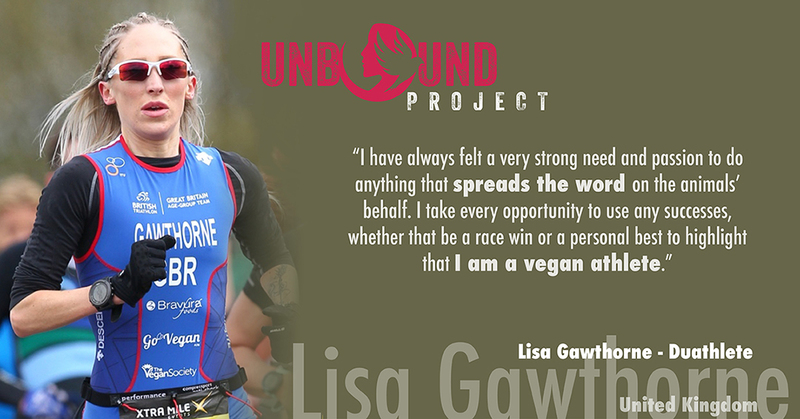 Team GB Age Group duathlete, Lisa Gawthorne is a passionate vegan and animal advocate, using her positive, can-do attitude to inspire others both on and off the track to embrace the power of plants! Alongside her sporting successes, Gawthorne co-owns and runs vegan food business Bravura Foods and is author of Gone in 60 Minutes – a bite-sized vegan health and fitness saviour of a book that can be read in just 60 minutes! “Going vegan is the best thing you can do for yourself as it will improve your health, it’s the best thing for the animals to reduce senseless suffering, and it’s the best option for protecting the future of our planet. If you have kids just take a look at them – let them be your motivation – if you want to build a better world for them to live in, then adopting a plant-based diet is the most effective way of achieving this. Follow Lisa Gawthorne’s vegan advocacy and sporting progress on Instagram. 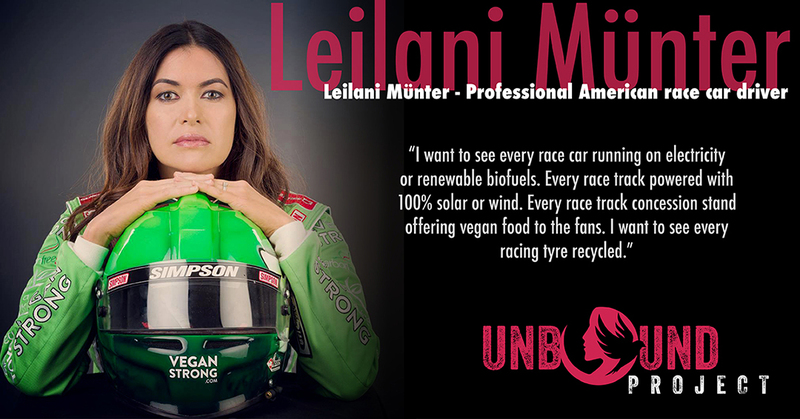 “Never underestimate a vegan hippie chick with a race car” is the motto of professional American race car driver, Leilani Münter. Münter is also a biology graduate and passionate environmental activist. Listed among Sports Illustrated’s ‘Top Ten Female Drivers in the World’, Münter’s tenacious attitude and racing brand Vegan Strong is bringing plant power to Nascar fans and highlighting the benefits of vegan living to new audiences around the globe. Her race car even runs on renewable energy! Münter sits on the board of three non-profits (Oceanic Preservation Society, Empowered by light, EarthxFilm) and is featured in 2015 environmental documentary Racing Extinction. She believes it is essential for humans to adapt and evolve our ways of living to avoid destroying the planet. Her dedicated environmental advocacy efforts have seen her named ‘#1 Eco Athlete in the World’ by Discovery’s Planet Green. Learn more about Leilani Münter’s impressive achievements and important advocacy work at leilani.green and follow her on Facebook and Instagram. 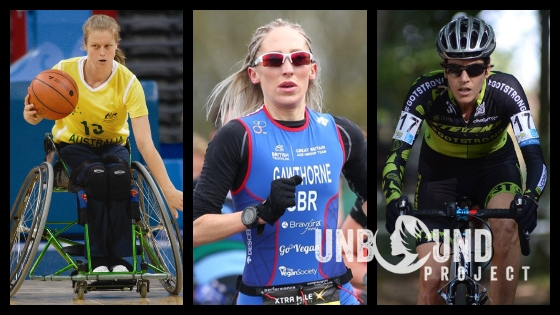 We’d like to extend our thanks to Great Vegan Athletes for connecting us with a number of the inspiring vegan athletes included in this feature. Human activity is taking its toll on marine environments and threatening these fragile ecosystems. From pollution and overfishing to the impacts of our over-dependence on livestock farming, oceans and sea life are suffering. 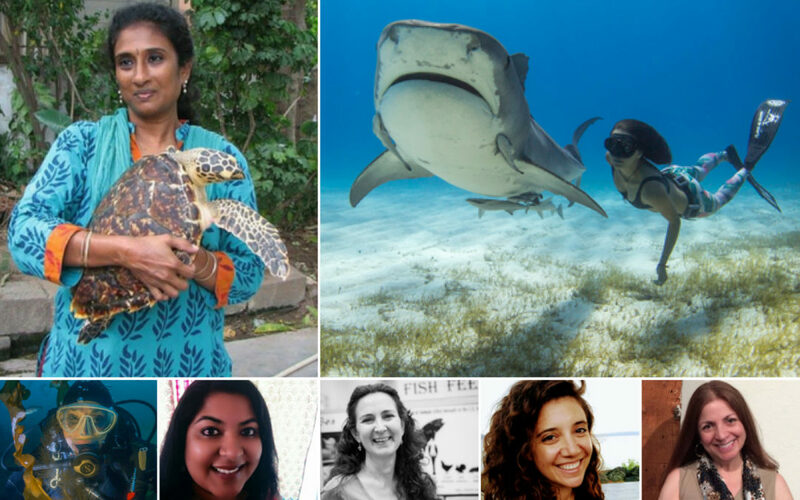 But through sheer determination and dedication coupled with their wealth of experience, women all around the globe are offering hope for oceans and the animals who live in them. 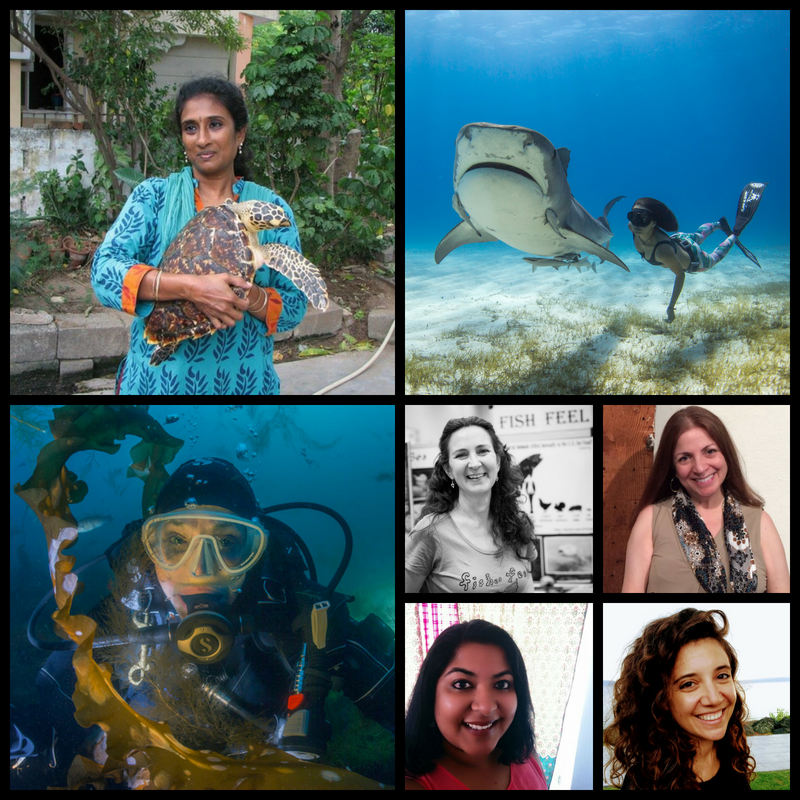 By exploring our relationship with marine environments and nurturing compassion within their communities, these female ocean warriors are tackling the issues head on, challenging our current attitudes and behaviours, and bringing us closer to this vital part of planet earth. 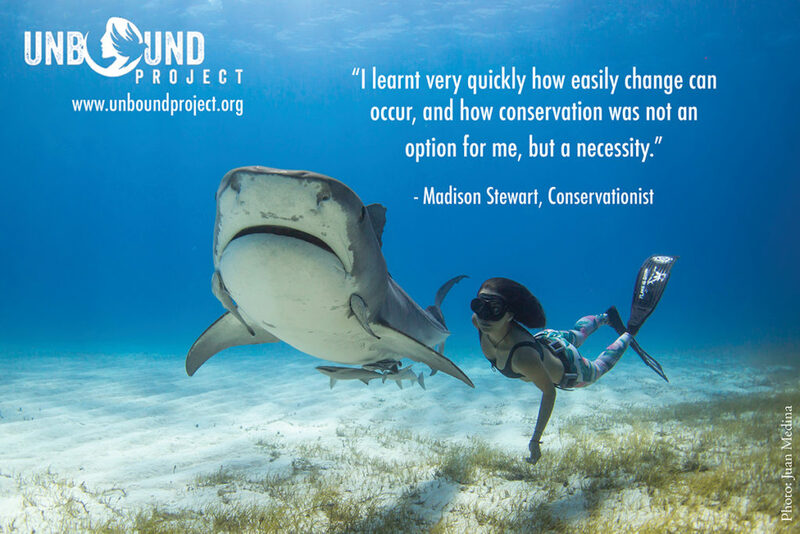 Australian filmmaker and conservationist, Madison Stewart, aka ‘Shark Girl,’ began scuba diving at the age of 11. By the time she was 14 years old, the sharks in the Great Barrier Reef that she knew and loved had been reduced to a mere few by government-approved gill net vessels. Stewart uses film as her medium to raise awareness and spark conversation about sharks and the issues affecting these highly misunderstood creatures. Learn more about Stewart’s work and follow on her Facebook and Instagram. Becca Franks is an environmental research scientist with a mission to tell the world why fish matter! 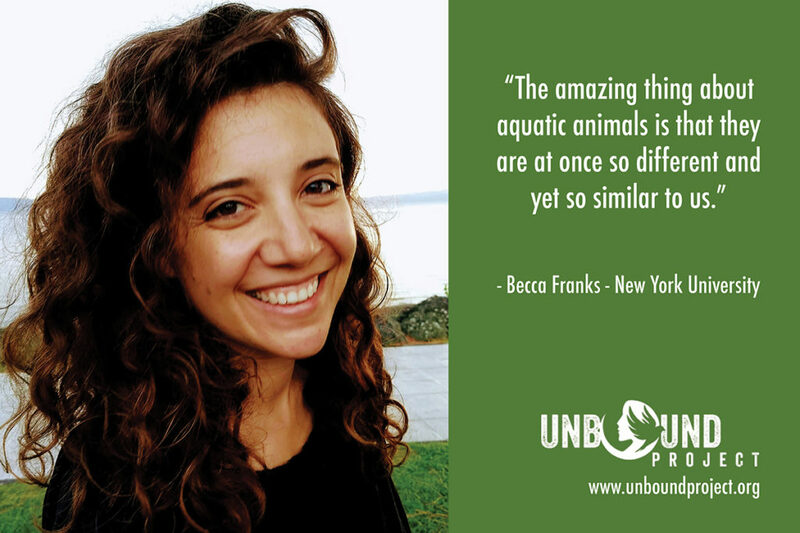 In 2012, Becca Franks joined the Animal Welfare Program at The University of British Columbia, where she began studying fish and aquatic animal protection. Throughout her career, Franks has been interested in fundamental patterns of well-being. She is especially fascinated by the evidence that regardless of species, well-being is linked to learning, exploration, and discovery. Learn more about Franks’s work. Dr. Supraja Dharini, founder of Trust for Environment Education, Conservation and Community Development (TREE Foundation) in India, is bringing awareness and commitment to protecting nature through biodiversity and conservation work with sea turtles, environmental education, and community development.Since its inception, and with the drive of Dr. Dharini behind it, TREE Foundation has seen significant successes for the threatened sea turtle populations with which it works. 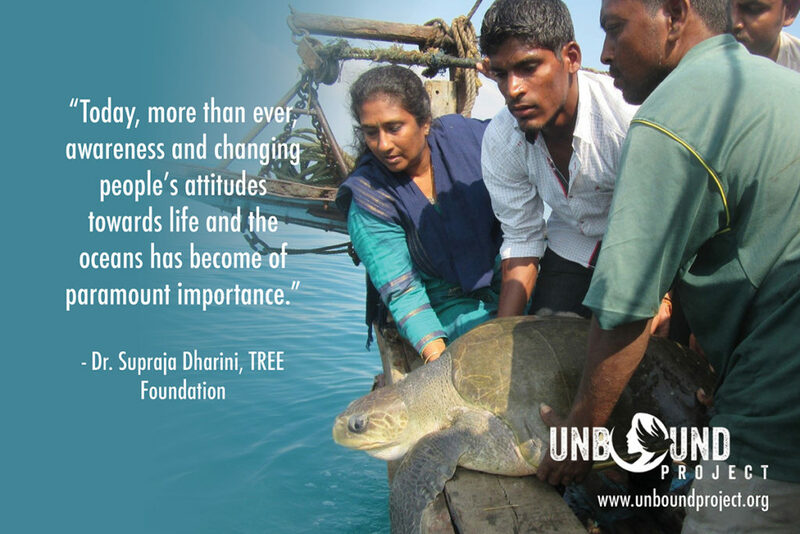 Learn more about Dr. Dharini’s work and follow on TREE Foundation on Facebook. 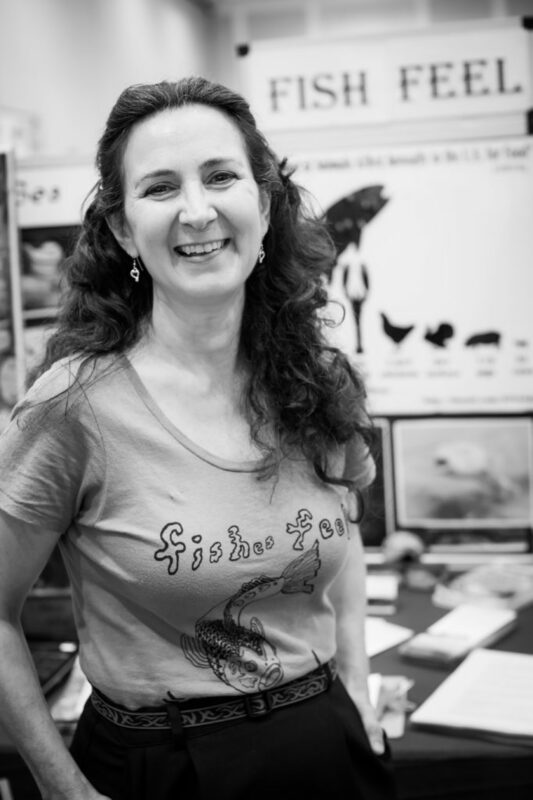 Mary Finelli is president and founder of Fish Feel, the first organization devoted to promoting the recognition of fishes as sentient beings deserving of respect and compassion. Fish Feel works to educate people about and advocate for fishes as sentient beings, but they also draw attention to the ways in which our own future is inextricably linked with that of fishes. Learn more about Finelli’s work and follow Fish Feel on Instagram and Facebook. Puja Mitra, founder and director of sustainable tour operator Terra Conscious, is a professional conservation practitioner revolutionizing the tourism industry in Goa. 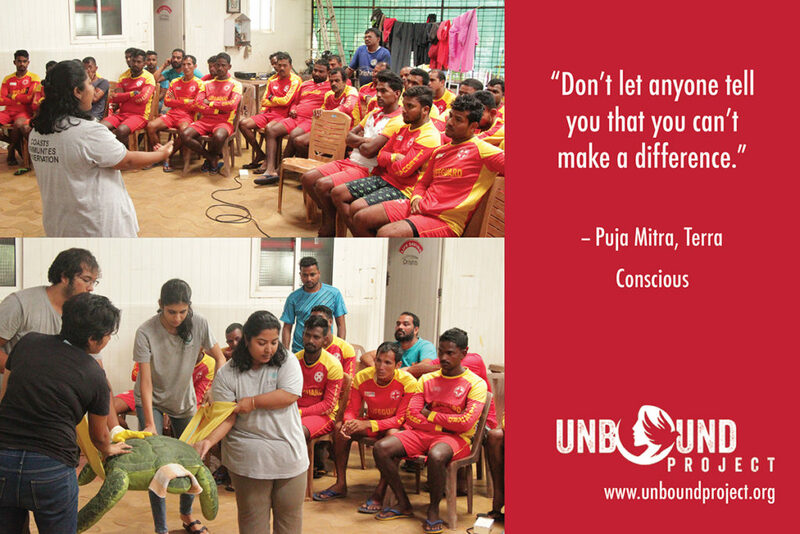 Mitra’s vision for the future of Goa’s rural communities and environment is inspiring local businesses to take collaborative action towards more sustainable and responsible tourism. By empowering rural communities through awareness and capacity-building programmes, Mitra and her team are helping those whose livelihoods depend on a thriving marine tourism industry to tackle conservation challenges. Learn more about Mitra’s work and follow Terra Conscious on Instagram and Facebook. Neuroscientist and expert in animal behavior and intelligence, Dr. Lori Marino is the founder and president of The Whale Sanctuary Project. Dr. Marino has published over 130 peer-reviewed scientific papers, book chapters, and magazine articles on brain evolution, intelligence and self-awareness in other animals, human-nonhuman animal relationships, and captivity issues. 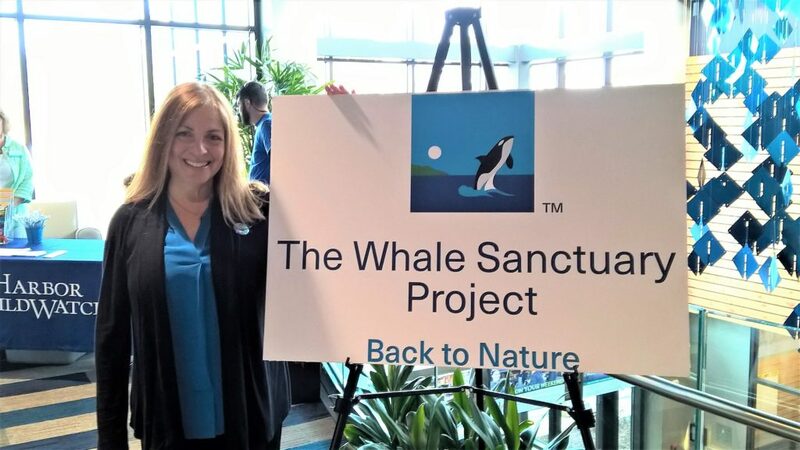 Her mission with The Whale Sanctuary Project is to create the first permanent seaside sanctuary in North America for captive orcas and beluga whales. Learn more about Dr. Marino’s work and follow The Whale Sanctuary Project on Facebook. 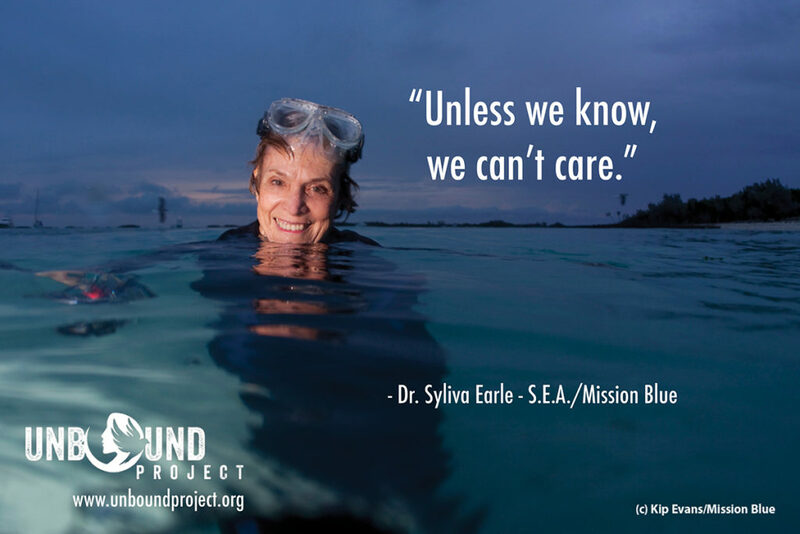 Learn more about Dr. Earle’s work and follow Mission Blue on Instagram and Facebook.